We’re heading off on a trip soon, and I was using TripIt to get some stuff in order (hooray for finding TripIt! 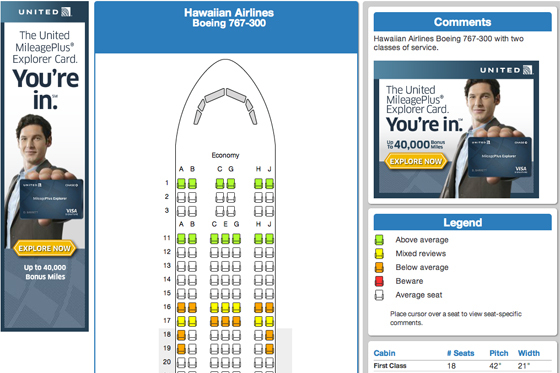 ), when I noticed a little link next to my flight info that said, “Get seating advice.” Say what, now? I travel a few times a year – not *that* often – so I don’t know all the tricks that people who fly more often might know – like, which seats are close enough to the bathrooms without subjecting you to wafts of their odor all flight, or which seats are actually bad because they have a divider behind them, so you can’t recline. 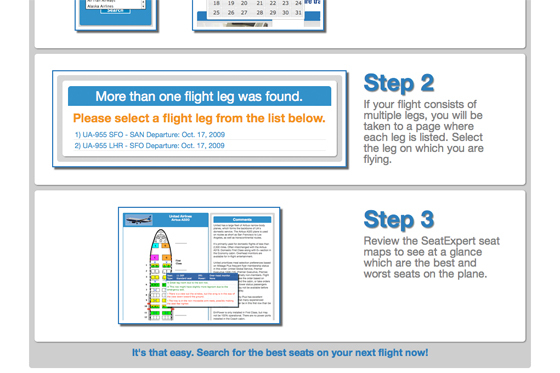 While I use the airlines’ seat maps when choosing my seats online, I know there’s more information than is shown there sometimes, but I just didn’t know how to access that information. 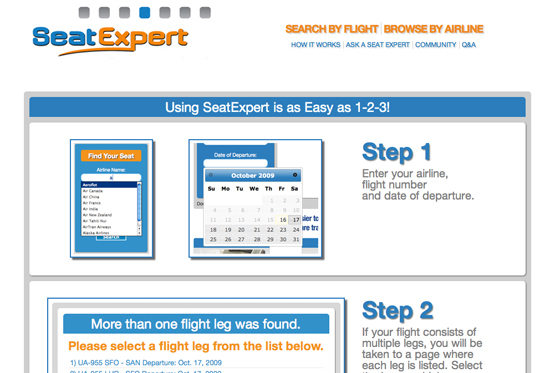 Turns out the answer is SeatExpert.com. When you click through from TripIt, Seat Expert automatically finds the plane you’ll be traveling on, so you can see what your seating arrangements will look like, and their recommendations. NEAT. 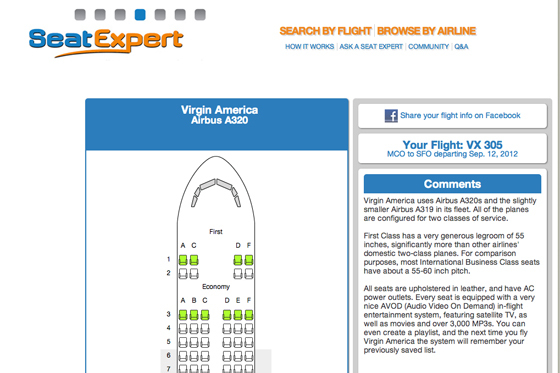 But you can also browse the airlines and get maps for whatever jet you might be wondering about. 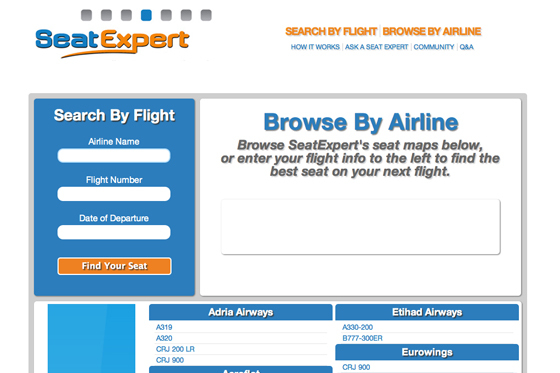 If you go directly to SeatExpert.com, you can enter your flight information as well. The process is outlined in three easy steps! It’s pretty neat because it seems like SeatExpert is able to determine which planes will fly which routes on any given date (I figure it’s not something that changes often but there has to be a reason to enter the date, right? All seems cool to me). If your flight consists of multiple legs, Seat Expert shows you a list of the different flights, and you can see what the layout of each plane is. Awesome! There are also comments for the planes, giving you more information about their different features, too! Virgin America, with its power outlets at every seat, FTW! And WHAT?! I didn’t realize you could create your own playlist that Virgin will *remember* for next time you fly with them! Rad. I travel to Hawaii every year with my mom, so it’s great to be able to check Hawaiian jets as well. 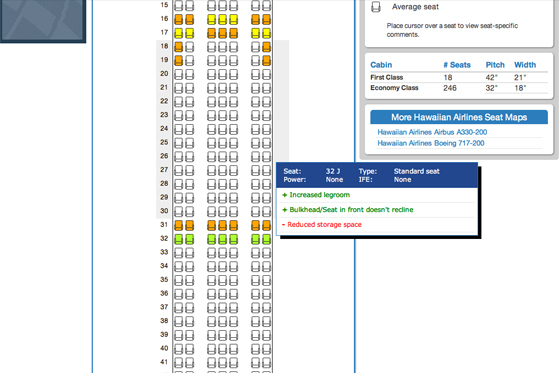 Seat Expert color codes the seats based on their features, rating them from “Above Average” all the way to “Beware”! When you hover your cursor over the seat in question, a little pop up appears with more information. Nice! 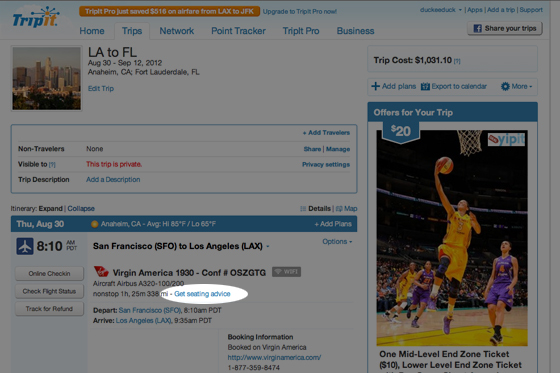 How awesome is TripIt, that they’ve included a link to Seat Expert directly from my trip information? 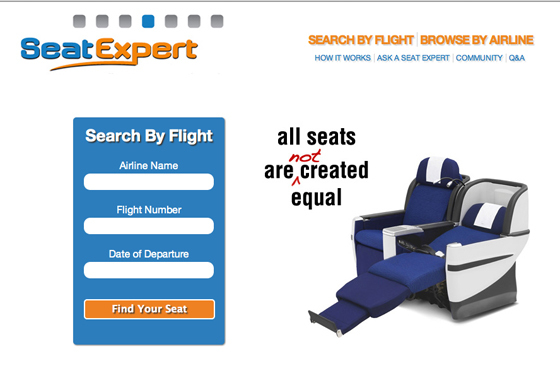 I’m so glad to have found Seat Expert – I’ll definitely make good use of this site in future travel planning!